Hey guys, since we seem to get a lot of new VFX artist traffic on here. I thought I would write up a few tutorials on some of the basic stuff us VFX artists use day to day. Above I have supplied the two textures we will be using in this tutorial. Feel free to experiment and create your own textures! The image on the left will be used as a mask and the other I will be referring to as the “noise” texture. It’s just an image with different photoshop render clouds in each channel. We will be using this as the scrolling texture that will be multiplied over itself. 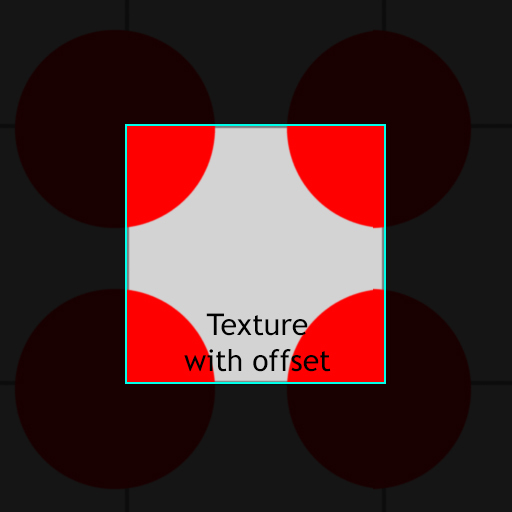 First we need to create two textures samples with two panners. 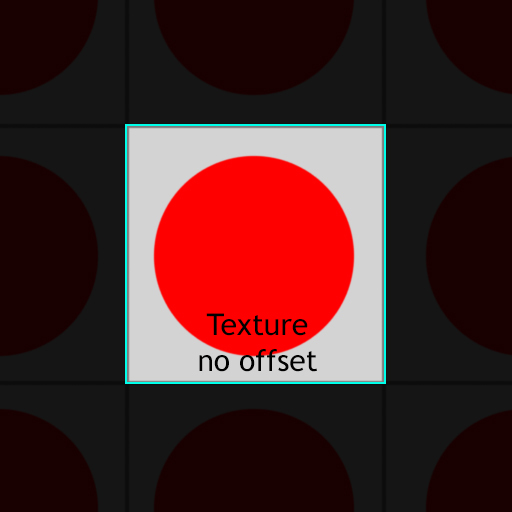 Next we need to create a texture coordinate with the default 1,1 settings and plug it into one of our panners. For the second texture sample, we want to multiply the coordinates by 0.5. Once you have multiplied your coordinates, plug the output into your second panner. Plug the panners into the texture samples. 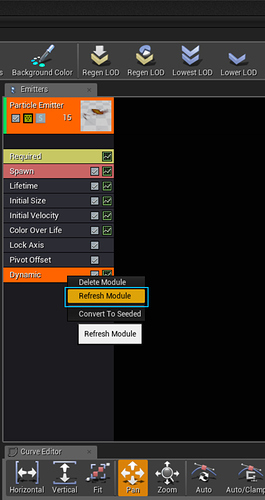 Now plug 1 channel from each of the texture samples into a multiply node. For the above image, I chose to use the green channel. You will notice that when we combine both texture samples with a multiply, the resulting outcome is a little dark. 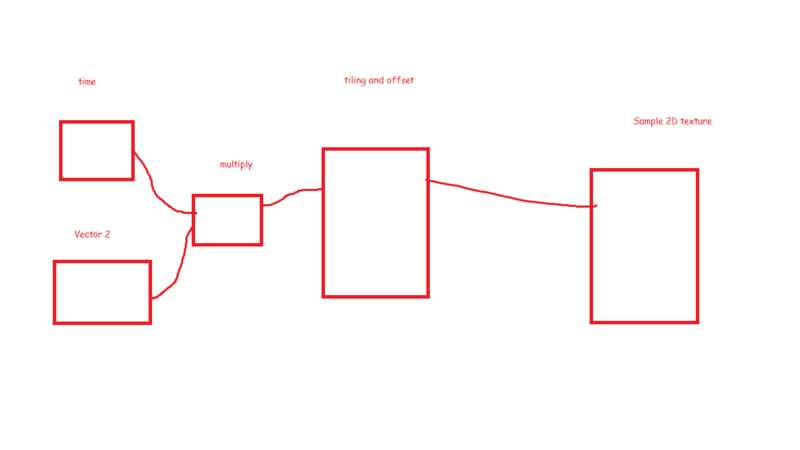 Simply plug the output of the two samples plugged into one another into another multiply node. Then multiply that nodes by two. The outcome should now be much more visible! Next we need a third texture sample of the same texture, with its uvs multiplied by 2. We will then multiply this with the last images final result then multiply the outcome by 2 again. Next we need to multiply this scrolling noise texture with a mask to give the chaos some shape. For this, we will use the cloud mask I provided. All you need to do is multiply the end result of your panning clouds with the cloud mask texture sample, then multiply the end result by two. You are now done… almost! You will notice when you emit this cloud material as particles, that all the noise pans from the same point in the texture, in sync. 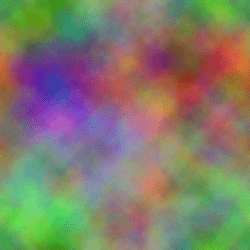 This can give your particles a tiled look. In the next example I will explain a simple way to fix this. 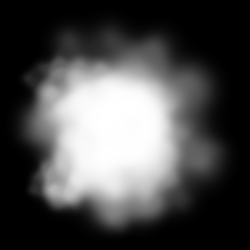 I have broken the example above back down to two noise textures - panning and multiplied together for this demonstration. We are going to be using a Dynamic Parameter node to randomly offset our noise per particle spawned at the start of their lifetime. 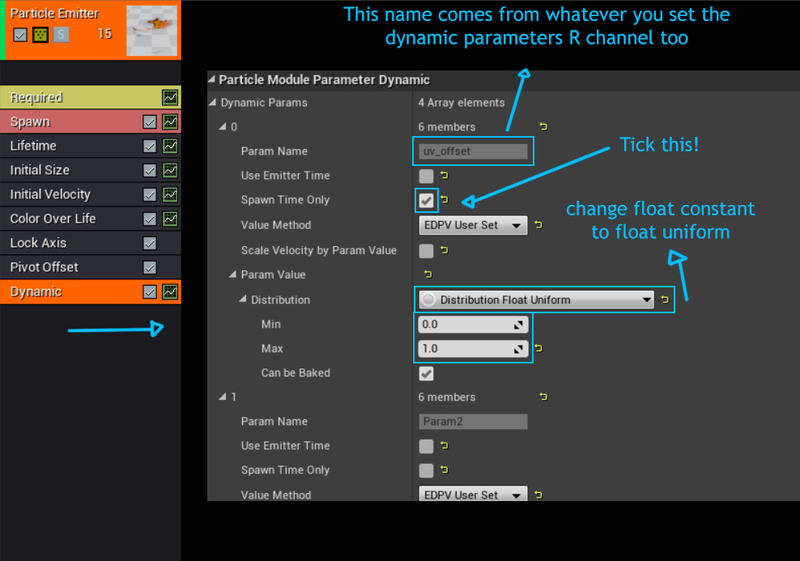 We use dynamic parameters as a way to add or change values in our particle materials while in the particle editor. In this instance we are going to be using it to offset the texture by a number between one and zero per particle. We will be adding a number to the uvs, as opposed to multiplying the uvs, because we want to push the uvs in a direction. Rather than scrunching them. See the example below. The above texture coordinate has been MULTIPLIED by two. As you see it creates a different result to the images above. 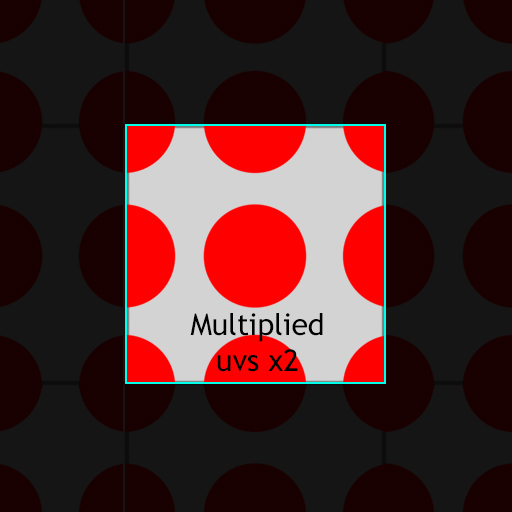 The uvs have been scrunched on both the x and y axis, as opposed to being shifted. The Value of the above texture coordinate would be 0-2, 0-2. As 0-1 has been MULTIPLIED by two, as opposed to added to. Now that is out of the way. You should understand why we are using the dynamic parameter. 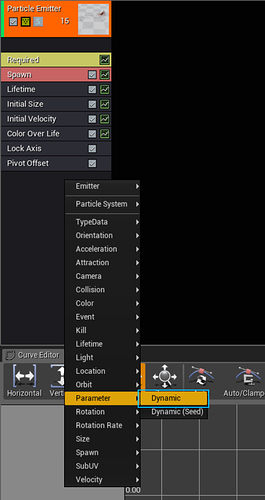 We can control this parameter per particle just like any uniform input we use in the particle editor, such as size and lifetime. We are essentially going to set up a number between 0 and 1 for the dynamic parameter to choose between, per particle. This will offset our noise between 0-1 for each particle. Removing the obvious tiling we had before with our noisey smoke! First we need to add a dynamic parameter to our particle system. To do that, right click on your particle emitter drop down. Navigate down to parameters and select Dynamic. Next we need to look down to our dynamic parameters settings. Open up “0” under your dynamic parameters drop down list. “0” in the dynamic parameter is your red channel. 1,2,3 Will be your green, blue and alpha channels respectively. Under “0” you will see whatever name you set as your dynamic parameters red channel and a bunch of other settings. Tick spawn time only. This will make it so when a particle spawns, it will pick a random value from the parameter below. Once it has that value, it will not change over the course of its lifetime. If you fail to enable this option, you will notice your particles will be flashing like a disco. Last we need to change our Float Constant under Param Value to a Float Uniform. Once changed to a Float Uniform, set the min to 0 and the max to 1. Your particles should now be picking a different noise offset per particle! Yay, no more tiling! This technique isnt just for clouds. You can create all kinds of things with it! I recommend only using two texture samples for scrolling noise most of the time. Three is great for large smoke particles but can get too noisy for smaller shapes. You can use this technique for colour too! 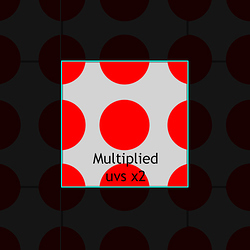 Try multiplying two scrolling rgb texture samples together! Try to always multiply the output of your two multiplied together textures by two. Otherwise you will end up with some very dark outputs! Remember that certain elements tend to scroll in a certain direction. For example cold smoke would scroll and fall down, as fire scrolls and rises up! Hope this was somewhat helpful to someone out there! Having trouble getting fire to look good - Any tips or suggestions on how you guys do it? Thanks for this tutorial. This seems like exactly what i’m Looking for, it’ll be a fun learning exercise regardless. (completely new to VFX in Unreal). Let me ask, you plan on doing any more of these? I plan to do more of these, yes : ) Just moved country’s a few months back, so still getting settled down. Thank you. This will prove useful, as i just started working in the industry. I’ve been working on Unity for a little while and am confortable on it but had to switch to UE4 for the current project. Still needs to find my marks and the amount of things to learn seems vast. If you have any other knowledge (basic or advanced) that you think new VFX Artists should know and you are willing to share, i’m all for it. Thank you in advance. Im interested in the green wisps, more so the texture used for that. If it’s yours could you share what the texture looked like because I have tried to recreate that but end up with something that looks more like clouds than wisps. I’d like to see it too. Ever more often I see stuff that looks so amazing to me, and it ends up all being in the texture. I’ll go “wow, that looks incredible!” and it’s 2 multiplied textures, with one having a little uv distortion, and it was really the 2 textures that made it stand out. Thanks for sharing. It really makes clouds better. Once again: Thanks. Finally had the chance to practice it to get better. I replicated the tutorial without problem (it was simpler than i thought) and now making it my own. Maybe you know how to get rid tiling effect on Unity Shader Graph? I tried to use Custom Date Streams but I can’t find parameter like “Spawn time only” and "Distribution Float Uniform"
If someone knows how to implement this, please can you help? 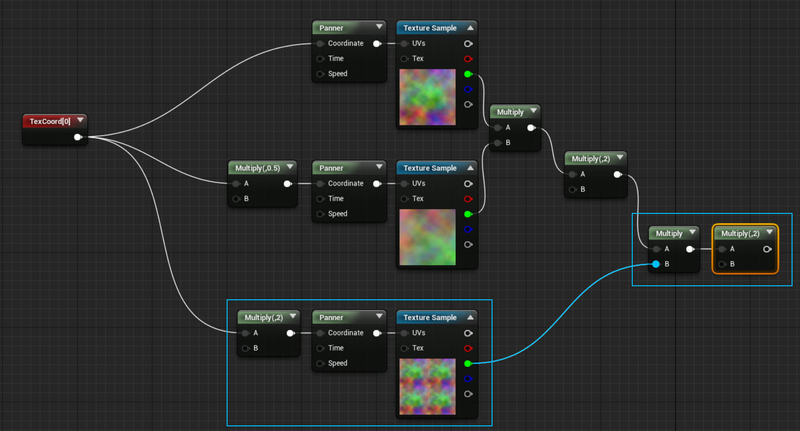 If anyone has done this with Unity’s Shader Graph, may I get some help as to what have you used as the Panner node? Tiling and offset ? I’m also not sure about the Dynamic Parameter.